Sport an attractive looking pout for a whole day with Rimmel Lasting Finish by Kate Moss Lipstick. This lipstick gives you intense color which lasts for 8 hours. Formulated with black diamonds it reflects gleaming light. Color does not feel heavy on the lips, instead it make lips softer. 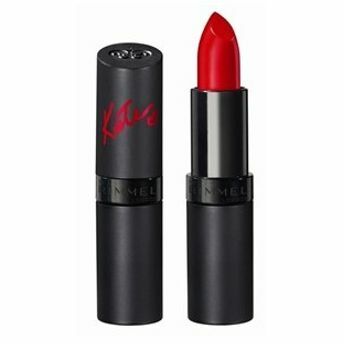 Rimmel Lasting Finish by Kate Moss Lipstick is a gorgeous lip color which enhances your features. Explore the entire range of Lipstick available on Nykaa. Shop more Rimmel products here.You can browse through the complete world of Rimmel Lipstick .Alternatively, you can also find many more products from the Rimmel Lasting Finish By Kate Moss Lipstick range.